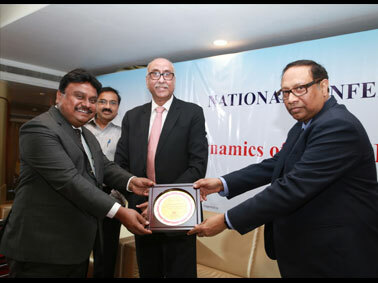 MET Institute of Management and Mumbai Management Academy & Research jointly organized a daylong National Conference on ‘Growth Dynamics of Indian Banking Industry’ on 15th January, 2019 at MET campus. The main objective of the conference was to discuss the changing banking scenario in India, its challenges along with their solutions and opportunities. 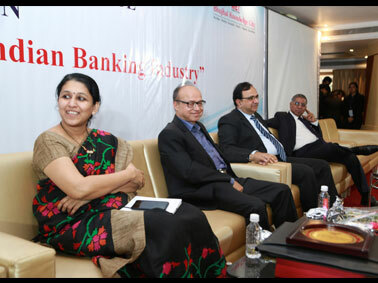 Distinguished experts and dignitaries from Indian Banking Industry contributed to the conference. 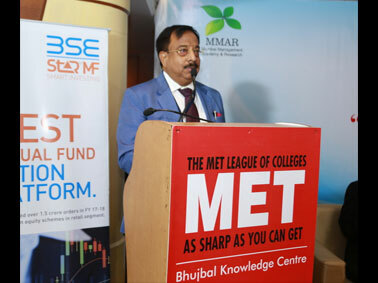 The conference was well attended by research scholars, top notch professionals from Banking, Financial Services and Insurance sector (BFSI), faculty members and students of best B-schools in Mumbai. 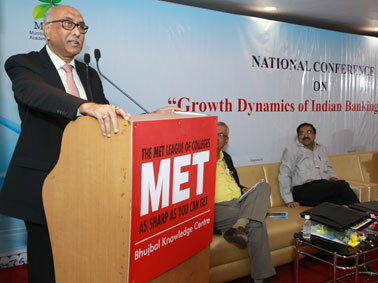 The conference began with Dr. Vijay Page, Director General - MET Institute of Management giving an overview of the sessions, followed by a keynote address of Dr. S.K. Nanda, IAS (Rtd) and Former Secretary Home - Govt. of Gujarat. The panel one of the conference comprised of eminent personalities, Shri S. S. Mundra, Former Deputy Governor - Reserve Bank of India (RBI), Shri S. Ravi, Chairman - Bombay Stock Exchange, Shri Ashwani Kumar, Former Chairman - DENA Bank, Shri G. R. Chintala, Chief General Manger - Dept. Of Refinance - NABARD, Shri Viswas Shinde, Chairman - Ramanand Multistate Co-Operative Credit Society Limited and Shri Bhavesh Mandlik, Director - Nirmiti Group of Companies, Dr. Tausif Malik, an Indian - American Social Entrepreneur and Dr. Vikas Shirodkar, Faculty - MET IOM. Shri S. S. Mundra, Former Deputy Governor - Reserve Bank of India (RBI) guided the banking professionals and students on the ‘Future Dynamics of Indian Banking’, Shri S. Ravi, Chairman - Bombay Stock Exchange (BSE) shared his insights on ‘Measures to promote Retail Investors in Stock Exchanges through Banking Network’ and Shri G. R. Chintala, Chief General Manger - Dept. Of Refinance - NABARD expressed his views on ‘Rural Economy and Institutional Support in Development’. The panel two discussion experts were Ms. Harshala Chandorkar, COO - Trans Union CIBIL Limited, Dr. Keshab Nandy, Former DGM - Reserve Bank of India, Shri Mohan Tanksale, Former Chairman - Central Bank of India and Dr. J. N. Mishra, Former Deputy Managing Director - State Bank of India. 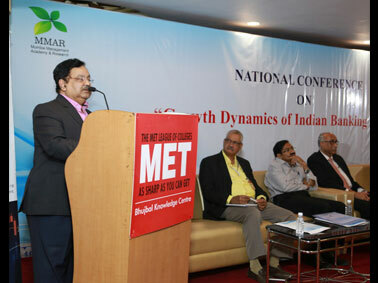 Shri Madan Sabnavis, Chief Economist - CARE Rating Ltd. moderated the discussion. The panel addressed the questions on various topics including Retail Banking, Lending habits of customers and measures taken by banks, Corporate Banking in digital world and Role of PSU Banks in the digitized economy. The conference was very informative and educational on so many levels of banking sector.